Regardless of the business you are in, you need to be able to measure your return on investment (ROI) of your IT support expenses. Hiring an outside source to provide IT support is a big step for small to mid-size businesses (SMBs) because you’re putting your company’s security in someone else’s hands. Before your company outsources an IT team, a thorough cost-benefit analysis should be completed. This will help you decide if outsourcing IT is a smart expense for your company. 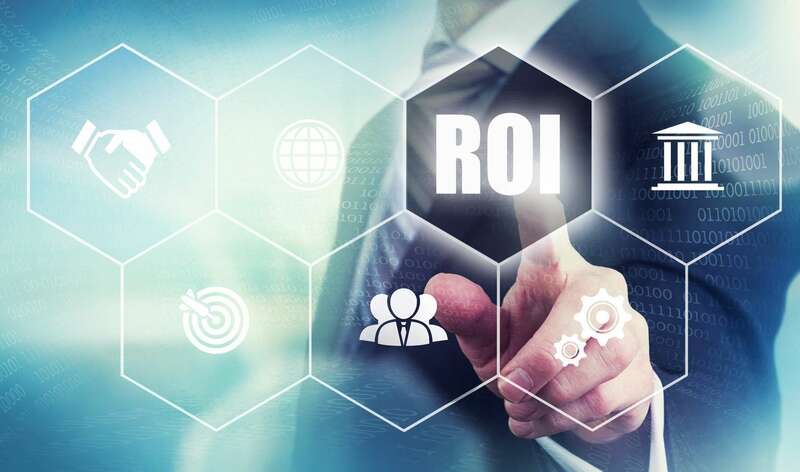 ROI is calculated by measuring your expectations for IT support service and cost versus the actual service quality and its dent in your budget. First, start by comparing your current IT expenses to the cost of outsourcing. You will also need to define your expectations. Saving money is not always the end game. A great ROI could come in freeing up manpower and retraining staff to do other duties. It could be relieving your business of the risks of doing the job yourself. By defining your expectations, you will create measurable investment goals for outsourcing IT support. Is your company running more efficiently? One way to score your ROI on outsourced IT is to rate its efficiency. When your company does everything in-house, your expenses will most likely be higher than an outsourced IT service. In-house also means you bear all of the responsibility of maintaining highly-trained personnel. In specialized fields like IT support, you must ensure your team is current on new technology and trends, as well as certifications. Training alone can take in-house employees away from the workplace. The right outsourced IT support company can keep you up-to-date with industry standards without the burdens that come with maintaining a sufficient in-house IT team. Additionally, outsourced IT support companies can reduce downtime as well as expenses. Unplanned downtime, whether it affects an individual user or an entire company, can result in a lot of lost productivity. Rate whether or not outsourcing eliminated or significantly reduced downtime. Do you have more time to focus on your core business? Offloading your IT support to a third-party frees up internal resources. You may have hired IT personnel for specific assignments. It’s easy for these employees to get burdened with IT support tasks that take them away from the projects they were hired to do. If one employee is dealing with tasks outside the scope of their assigned duties, this inefficient pattern tends to trickle-down and over to other employees. Once these employees are freed from these tasks, productivity within your company should improve. A good ROI can be seen when employees allocate their time and talent back to specific projects and duties they were hired to perform. It will also show up in the quality of work these employees produce. And when your employees are focused on their tasks, you can oversee the business and focus on moving the company forward without distractions. Has Outsourcing Your IT Support Reduced Labor Cost? Outsourcing any part of your business operation should reduce your labor costs. Hiring a full-time IT staff can be insanely expensive. Full-time employees come with added expenses like insurance, paid time off, and training. But what are those employees doing when there are no tasks to attend to? You are basically paying them for their presence. By outsourcing, you have 24-hour support, highly trained professionals and the latest technology at your disposal. Measure your ROI by comparing the cost of having staff on payroll versus paying an IT provider who is always available to service your company’s needs. Is your company’s data more secure? An important feature of outsourced IT support is securing your network. As SMBs, you care about the protecting your data. It’s vital that your IT team is up-to-date on the newest and best tools to combat security breaches. Scheduled back-ups provide you with the most current data in the event of a security breach. Getting your server up and running gets you back online and back to business. And cyber security protocols cut down on chaos in the event your business faces a cyber attack. Your IT support team will be able to step in and restore order. An important factor in securing your systems is training employees on how to protect your company’s data. In-house staff training can range from teaching employees how to set secure passwords to training HR staff on how to secure personnel files. This alone increases the cost-effectiveness of outsourcing your IT support. Do you have the right outsourcing company? Because IT support may be one of the most essential processes that SMBs consider handing off to an outside company, ROI is key to your company’s decision to outsource. Don’t give up on outsourcing It if you feel you aren’t getting a great return after computing your ROI. There are other factors that can influence a poor ROI, for instance: you may have chosen the wrong IT support company. Choosing the right managed IT services provider will have a huge impact on your ROI. At Pegasus Technologies we work hard to bring the right people to our clients. Contact us today so we can help your business technology run more smoothly.